Craig Howard is Owner and Financial Advisor of CFH Financial Services. He entered the financial services industry in January of 2010 with a deep desire to help people achieve their financial needs through careful and innovative comprehensive planning. 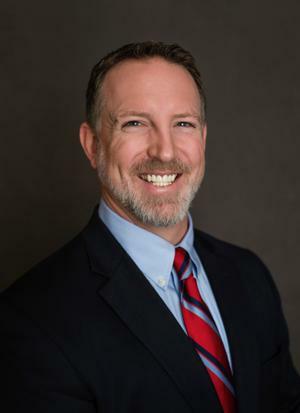 He works with a variety of clients ranging from young professionals, to families who are working to provide a sustainable lifestyle; as well as, business owners who desire to maximize their financial and retirement planning opportunities. Craig enjoys, and is active in, networking with other business professions and organizations involved with social and community efforts. Prior to joining CFH Financial, Craig served as the Assistant Director of the Grizzlies Athletic Center for Memphis Athletic Ministries where he helped inner-city youth develop character and grow spiritually through a mutual love of sports. Before that Craig served as an Area Representative with the Fellowship of Christian Athletes in Abilene, TX after completing his collegiate football career for the Abilene Christian University Wildcats. He utilizes the attributes developed through his prior athletic and ministry endeavors to service the needs of others with a winning attitude. Craig is a CERTIFIED FINANCIAL PLANNERTM professional. He also holds the Accredited Asset Management Specialist (AAMS) designation through the College of Financial Planning and he holds the Accredited Investment Fiduciary (AIF) designation from fi360 Fiduciary Analytics. These designations help Craig prudently create financial plans, manage investment assets and navigate the various aspects of comprehensive planning. Craig is also a founding member of the Cornerstone Study Group, a team of experienced financial advisors from across the country who meet semiannually to grow and develop both personally and professionally. A native of Amarillo, TX, Craig moved to Memphis from West Texas where he received his Bachelor of Science in Exercise Science, with a Minor in Biblical Text. Craig has a strong desire to use his gifts and education in serving the needs of others. Craig is happily married to his beautiful wife, Sarah, and they have three sons, Hutton, Hobbs and Graham. Craig loves spending time with family and friends, watching sports, playing golf, reading, cooking out, traveling, working out. He and his family are active members of The Orchard Church located in Collierville, TN.